With Bernard Tomic celebrating his twentieth birthday last week, it now means that there is not a single teenager in the world’s top 200 players. The highest ranked teenager in the world is currently the Brazilian Guilherme Clezar, currently ranked at number 214. The dearth of teenagers in the game is surprising, although continues the trend of recent years. Indeed, almost a quarter of the world’s top 100 players are now aged in their thirties. Not that long ago, reaching your thirtieth birthday was almost seen as the end of your career. It continues the pattern where the older, more experienced players have been spending longer in the higher echelons of the game, with fewer of the teenagers really breaking through until later. Roger Federer’s Wimbledon title made him the oldest man since Arthur Ashe in 1975 to win a Grand Slam title, and only the 11th player in the Open era to win a Grand Slam in his thirties. 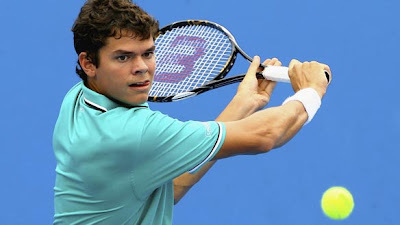 There are seven players in their thirties that have won titles this season – joining Federer are Jarkko Nieminen, David Ferrer, Mikhail Youzhny, Jurgen Melzer, Tommy Haas and Andy Roddick. For now, gone are the days when young players are real contenders for a Grand Slam title. The last teenager to win a title was Rafael Nadal, back in 2005, while Djokovic and Del Potro were both just 20 when they won their first Grand Slam titles. Now there are only four players under 23 even in the top 50 – Milos Raonic is the highest at 15, followed by Kei Nishikori at 16, David Goffin at 45 and Bernard Tomic at 48. Between them, they have just two Grand Slam quarter-final appearances. So why has there been this shift in the age at which players break into the upper echelons of the game? The first reason is simply that there are not the talented young players coming through at the moment. That it is just a lack of quality among the current generation of young players that are breaking into the ranks, rather than any overall shift in tennis in general. This could be a legitimate point. Arguably, in almost any other generation, any of the top four players would have been the standout player. The fact that all four have come through at approximately the same time is an anomaly, and there are no truly world class young players that can challenge them at the current time. However, many people have pointed to the move that has been made by tournament directors around the world to slow the courts. The days of the lightning quick surfaces is a distant memory, the serve-and-volley type player has been consigned to the highlight reels from the past. These days, courts favour the real grinders. Djokovic and Murray’s games are based very much around the defensive ability that they have, now allied with the attacking shots that have elevated them to the next level. Nadal grinds opponents down with his relentless top-spin shots. 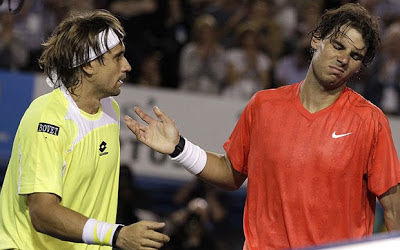 David Ferrer is a world-class returner and defensive player. In order to build up the consistency and stamina to live with these players is simply not possible for teenage players. It takes many years of work to reach the point where you can consider challenging these players on a regular basis. In addition, the progress in training and nutrition has meant that the older players can maintain their peak for much longer, and indeed continue improving well into their late twenties and early thirties. When you ally this additional time for improvement, the lack of decline and the greater experience that these players can draw upon, it is little surprise that the older players are dominating the top 100 players in the world. It is perfectly feasible that we could see another teenage winner of a Grand Slam in the next decade. Every so often, a real prodigy comes through the ranks at an early age and takes the tennis world by storm. Rafael Nadal was just 19 when he won his first French Open title, as was Pete Sampras when he clinched his first Grand Slam title at Flushing Meadows. However, these players are the exception rather than the norm. In the current day, it is the older players that are thriving, and those players that are under 23 should not simply be written off because they have not achieved anything at the pinnacle of the game yet. Whether they make it is a different matter, but we should expect to see players not reaching their peak until their mid- to late-20s now. Slower courts have helped the older player, but also we have been spoilt it takes a special player to win majors while still developing Nadal was just that.